The saying “knowledge is power” has really rung true for me in the last year. I feel that learning everything I did through my studies at the Institute for Integrative Nutrition has helped me to reform my life & make so many different decisions moving forward. Let’s talk about petroleum. Use vaseline? petroleum based. Use Vicks on your kids? Also petroleum. 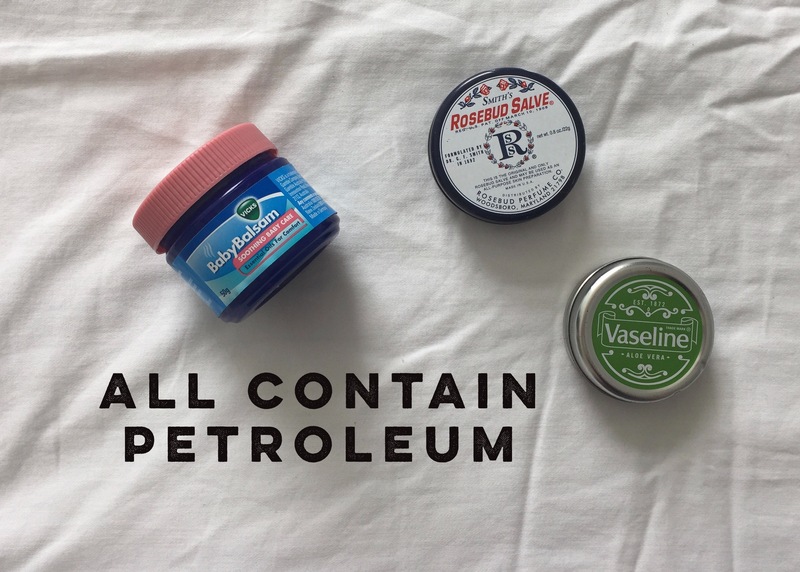 How do I know if my cosmetics contain petroleum derivatives? Just like with sugar, Companies like to use big words that we often skim over, here are some: benzene, butanol, names with butyl, diethanolamine, ethanolamine, ethanol, ethyl, methanol, methyl, mineral oil, parabens, paraffin wax, phenoxyethanol, propyl including isopropyl, toluene & words ending in “eth” such as laureth, myleth, oleth. So how do we avoid these products? First of all look for products that are labelled “Free from [all the ingredients listed above – eg laureth sulfates]”. Second of all, what would happen if all consumers stopped buying cosmetics with petroleum derivatives? That’s right, companies would refine their ingredients. Every dollar you spend, is a vote, and a form of activism – when I buy organic apples, it’s encouraging that Farmer to grow more. When I support a company that doesn’t use petroleum/mineral oils, they produce more. When I buy nappies produced with a sustainable contents, this is a vote for them AND a vote against the conventional nappies. When I buy compostable bin liners, I’m increasing their market & decreasing the demand for non-degradable plastic bags.